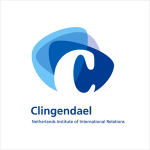 Clingendael – the Netherlands Institute of International Relations – is a leading think tank and academy on international affairs. Through our analyses, training and public debate we aim to inspire and equip governments, businesses, and civil society in order to contribute to a secure, sustainable and just world. Its research, training and platform activities are deployed in combination. Expertise in all three of these dimensions makes the institute unique. Clingendael Academy provides diplomatic training courses, thematic programmes (European Union, sustainability issues, economics and trade, security and conflict management) skills programmes, tailor-made training, expert seminars, open application courses and individual coaching in order to operate effectively at the international level. The Academy also offers capacity-building programs to support the development of diplomatic academies or other training institutes. These programs include advice on institutional development, training programs and training methodologies, as well as train-the-trainer workshops.